Given Israel’s aversion to symbols, especially by a King known for his sweeping religious reforms (2 Kgs. 18:1-6; 2 Chron. 29), it is somewhat surprising to find this iconography on King Hezekiah’s seal. The use of Egyptian symbols may also surprise many. As far as current knowledge tells us, Hezekiah seems to be the first king of Judah to use a royal emblem with an icon on it. It is also known from other bullae that Hezekiah adopted the use of the two-winged scarab (dung beetle), known in both Egypt and Phoenicia. Thus, we are now aware of two different images that were employed on the royal seals of Hezekiah. There are several passages which suggest a dependence on Egypt by Hezekiah, and this may be why the king’s seals show Egyptian influence. For example, when Sennacherib is laying siege to Jerusalem, the Rabshakeh (an Assyrian official) rebukes Hezekiah for trusting in Egypt (Isa. 36:4-6). Although Hezekiah is not specifically mentioned in Isaiah 30, this passage condemns Judah’s leadership for trusting in Egypt for military aid. As far as the imagery on the seal itself, given Hezekiah’s aversion to idolatry, Robert Deutsch’s conclusion seems correct. He states, “Although winged sun disks and scarabs had originated in foreign lands, by the eighth and seventh centuries BCE, when they appeared on Hebrew seals, they were already quite old and bereft of any religious significance. 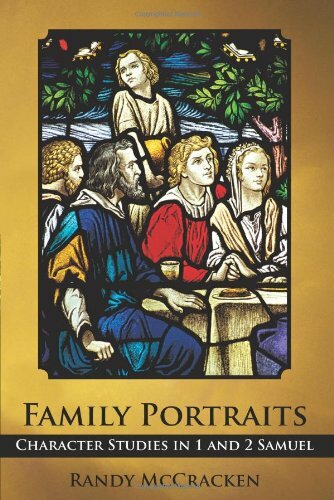 They were used solely for their decorative value and their connotation of power – and should be regarded as Israelite/Judahite. When Hezekiah adopted the two-winged scarab and the two-winged sun disk with six rays as royal emblems, he was simply appropriating generally accepted icons of royal power and not importing meaning from either Phoenicia or Egypt” (Lasting Impressions: New Bullae Reveal Egyptian-Style Emblems on Judah’s Royal Seals–the whole article is worth reading). 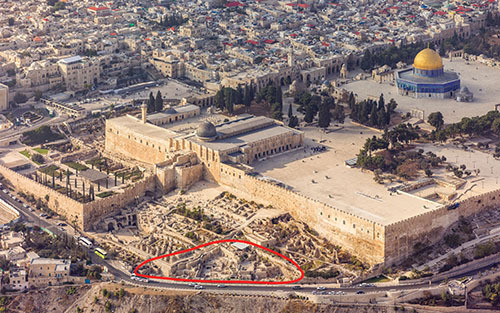 The bulla of Hezekiah was found in the Ophel which is the area circled in the photo above..
As noted above, the bulla of Hezekiah was discovered during excavations of the Ophel in Jerusalem. The Ophel is the area between the Temple Mount and the City of David (see the picture on the right). The bulla was found in an ancient refuse dump near a royal building that dates back to Solomon’s time (mid-tenth century B.C.). I had the opportunity of exploring this area last Spring (2015). The bulla was discovered through a process known as wet-sifting. Wet-sifting is a process utilized by Dr. Gabriel Barkai and Zachi Dvira at the Temple Mount ever since the illegal dumping of tons of soil bull-dozed on the Temple Mount in 1999 by the Waqf. These archaeologists realized that “this discarded earth represented a treasure trove of information relating to the Temple Mount’s history” (see Temple Mount Sifting Project). Since Barkai and Dvira implemented this system of searching through the dug up soil, it has become a staple of archaeological excavations. 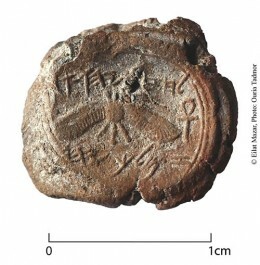 Many smaller items, like this bulla of Hezekiah, would easily go undiscovered if this method were not employed. Wet-sifting continues at the Temple Mount and thousands of volunteers participate each year. Well known Israeli archaeologist Dr. Eilat Mazar was in charge of the excavations at the Ophel. You can watch a very interesting video here showing Dr. Mazar’s explanation of the discovery, and of the bulla of Hezekiah. The same video with an accompanying article can be found at phys.org. The bulla of Hezekiah is not only one of several bullae that exist of the Judean King, it is also one among a number of other bullae that have been discovered that refer to people mentioned in the Bible. Bullae of several of Hezekiah’s court officials have also been discovered (see the link to Deutsch’s article above). We also have a seal impression of King Ahaz, the father of Hezekiah, as well as several Judean officials from the time of Jeremiah. Whether archaeological discoveries in Israel are big or small, they continue to help us better understand the ancient world of the Bible. Previous PostPatterns of Evidence: ExodusNext PostWhere Will the Battle of Armageddon Be Fought?